Madeline De Geest, age 13, is a homeschooled eighth grader. She moved from Belgium to St. Louis at age 2. Madeline's love for music was undeniable from when she was just a baby: the only way to soothe her was with Bach music and especially with his Arioso. She currently studies piano with Ms. Zena Ilyashov. 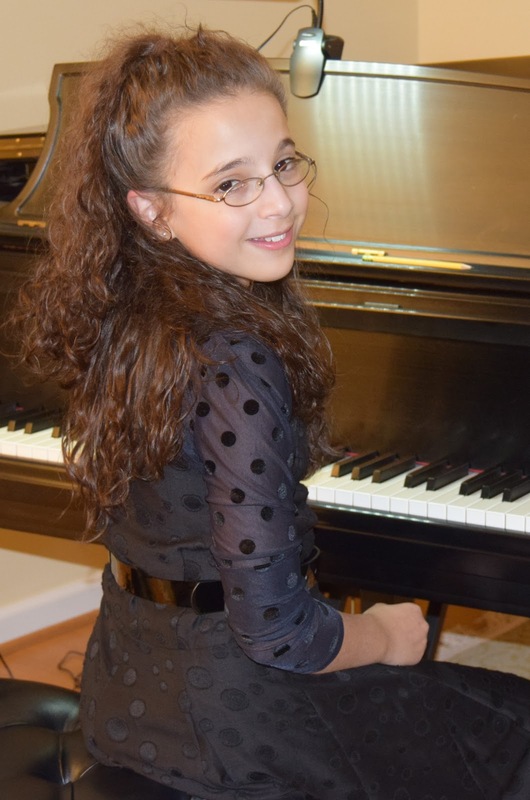 Madeline is the 2017 State Winner of the MTNA Junior Piano Competition and is the 2017 Mary Stillwell Young Artists' Concerto Competition Guild Award winner from the Alton Symphony Orchestra, making her orchestral solo debut with the Beethoven Concerto No. 1, Mvt. 1. She is also the 2017 winner of the Missouri Baptist Solo Concerto Competition. Madeline also plays the violin and is currently the youngest member of the St. Louis Symphony Youth Orchestra. She studies with Mr. Joe Kaminsky and made her orchestral solo debut with the violin as a winner of the 2016 Missouri Baptist Solo Concerto Competition. This year, 2018, she is a winner on the violin of the University City William Schatzkamer Young Artist Competition and the Belleville Stars of Tomorrow Concerto Competition. Madeline studies conducting under Dr. Robert Hart Baker and is intrigued by composing as well. In 2015, with Mr. John Thomas as her teacher, two of her compositions, ""Waterfall"" and ""Mysterious,"" were performed at the Community Music School of Webster University. Madeline's hobbies include hiking, exploring nature, doing math, reading science books, and drawing cartoons. Madeline would like to extend special thanks to her incredible teachers, and her parents for their support and inspiration.